Many flags have flown over Texas during its long history, from the emblems of the earliest Indian inhabitants to the Lone Star flag of today. This book traces the state’s turbulent history through the flags that have flown there, including the banner of Castile and Leon carried by the Spanish explorers, the French colors borne by La Salle, the Mexican flag, the Confederate Stars and Bars, the “Bonny Blue Flag,” and the famous Lone Star flag. Texas Jack, a native jackrabbit, teaches the reader about significant Lone Star characters, historical events, and geography. In this illustrated volume, you’ll meet Davy Crockett, Ponce de Leon, Sam Houston, and other legendary characters. 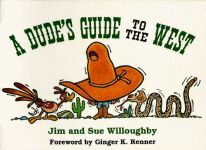 Rice’s rhymes run from A to Z, and Texas Jack remarks on each entry from the perspective of a highly perceptive jackrabbit. Hardcover. Texas Jack, a long-eared jackrabbit, tells the story of the Alamo and the brave men who fought and died at the most famous battle in Texas history. Vibrant illustrations by James Rice bring to life the events of the struggle. In this tale you’ll meet Davy Crockett, Jim Bowie, Colonel William Travis, and the Mexican general Santa Anna. Hardcover. How does Santa bring toys to Texan boys and girls? The answer unfolds in this variation of the Christmas classic.